On February 14, we invite you to immerse yourself in a unique romantic atmosphere and to treat yourself and a loved one with an unforgettable dinner in Restaurant Este! 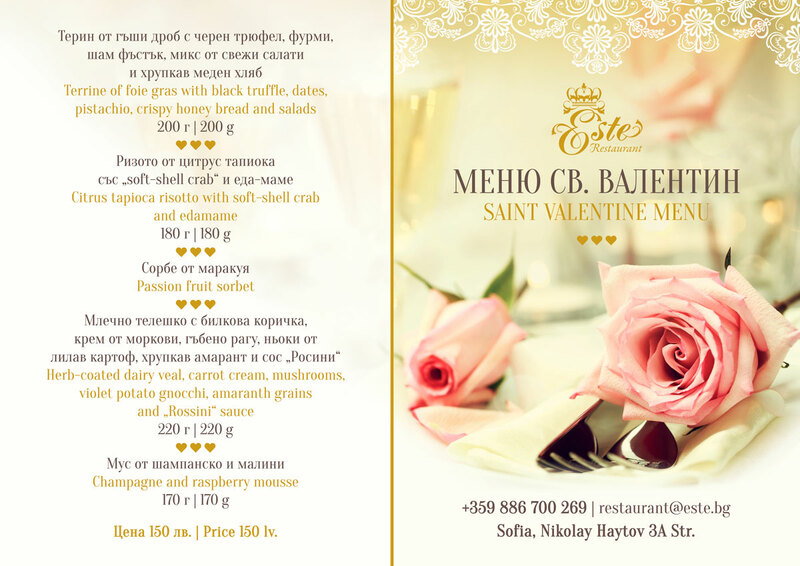 We have prepared a special menu to complement the exciting emotions on Valentine’s Day. Welcome!